No daily commute and therefore less waste of money, time and nerves, or, too say it positively: a much more relaxed attitude to work and a much easier way to get to work. Specified environment: You can set your garden office up just the way you and only you (or your company) needs it, and exactly the way you like it most. Wide range of usages/occupations: What ever you need, it can be done: From a single work place to 10 or even more work stations. From secluded and private to public access and frequent customer traffic, engineering, artistic work, or office work. Concentrated working, away from the distractions of the main house in the fresh, oxygen-rich air of your garden with a green view right in front of the windows. Tearing down the artificial border between “work time” and “leisure time” and making your life more whole. 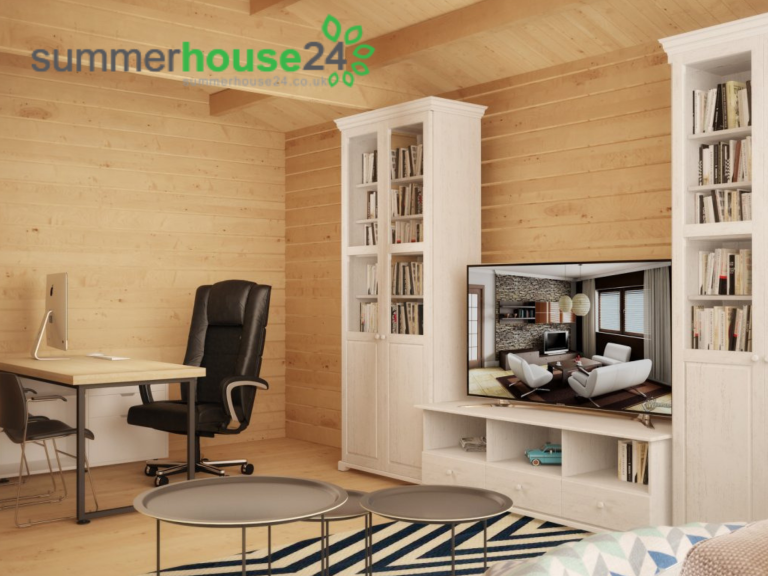 With modern communication systems it is no problem to connect to companies, customers or business-partners anywhere in the world and so the number of “shed-workers” who work from their own garden office at least a few days per week or even full-time grows daily. The price for the office can often be offset against tax and VAT registered companies may be able to reclaim the VAT on the price. Garden offices built from timber are the most popular choice and beat garden offices from other building materials mostly because of their variability. Whatever specific needs, what specific floor-plan, what design, how many doors, windows etc. you need, a wooden garden building can most easily and quickly be modified to your requirements. One good example for that is that you are free to purchase buildings, like log cabins, with more than just one room, and you can offer extra rooms like a kitchen, a toilet or a shower room when you employ staff, or have frequent customer traffic like for example for occupations like dentists, chiropractors, or beauty therapists. In this case dividing the building into a waiting area and one for treatment would also be possible. 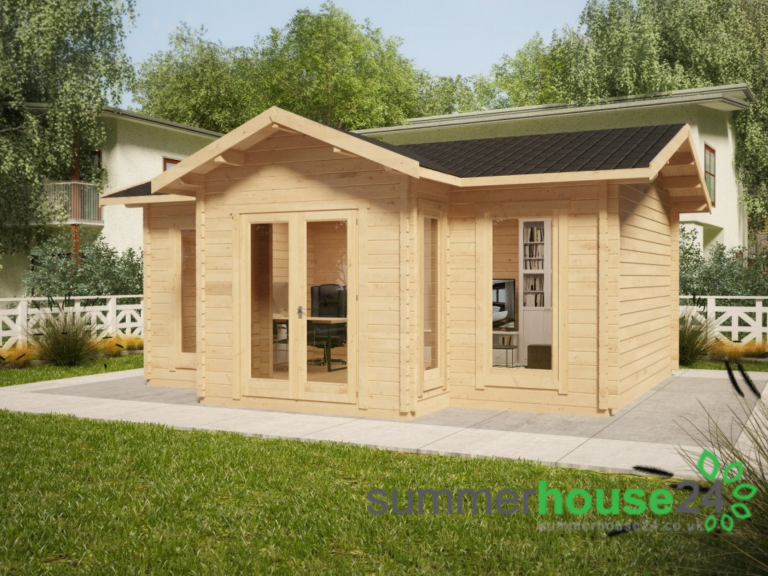 With a wooden log cabin as starting point for a garden office, it would easily be possible to create a self-contained unit with kitchen, toilet and shower, so that whoever works there is truly independent of the facilities in the house, which would create a clear distinction from the home space. This is the right environment to be able to fully concentrate on the tasks at hand. Of course, with timber being an excellent natural insulation material, it is easy to insulate such a wooden garden building and make it fit for use all year round. We have set up a manual for you on how to easily and highly effectively insulate your garden office. Does a garden office need planning permission? While some providers of garden office buildings seem to think that for some of their buildings a planning permission is not required, as a matter of fact, this always has to be checked with local authorities because it depends on a variety of circumstances, for example, where you live, what exactly you plan to build, and what usage exactly you are planning for the garden building. In many cases the permitted Development rules may fit your plans, so that you may be able to build your new garden office without a full planning permission. You can find the specific regulations in the government's Planning Portal website. If these guidelines leave any doubt, it might be advisable to apply for pre-planning advice at your local Planning Department. This will provide you with a written response by the authority, stating, whether a planning permission is needed or not in your case, and will be good to have in the future. For example, if you can build your garden office without a planning permission, you will have proof for everybody including potential buyers of your property that your garden office has been built lawfully. One of the requirements for building without a planning permission would be that the planned garden office should be incidental to the use of your house. That means that for example a full-grown practitioner's clinic would probably not fit under this classification while a room for you, some office equipment and a laptop, kind of would fit that requirement as a kind of workroom or study in the garden because the house does not provide enough space for such a room. While it may seem complicated, there is, however, no real need to be fearful of the Planning Permission. It is a pretty straightforward process, not very difficult at all and you will be able to handle the application yourself. We will, of course, support you with blueprints, floor-plans and all the scale drawings needed. A full Planning Permission will cost you less than £500 in most cases and will take around eight weeks. Do Building Regulations apply to your garden office? Building Regulations ensure that buildings are safe, energy sufficient and built to the highest standards. Usually these do not apply for buildings under 30 sqm if there is no sleeping accommodation in the building and the building has a distance of at least one meter from any boundary. In any case, electrics would be one key installation that has to comply with Building Regulations. They must be installed by a certified electrician. Of course, during the planning process your idea of your perfect garden office may undergo changes that will also affect costs. But it would be a good idea to at least have a range in which you want to stay. Fees for Planning-Permission and Building Regulations if applicable. Costs for connecting electricity to the mains is not to be underestimated. A qualified electrician will have to run an armoured cable all the distance from the garden office to the main house which can cost some money depending on how far the distance is. If you need a Planning Permission, the Building Authority might ask your neighbours about their opinion about your plans. Therefore, it is a good idea, to acquaint the neighbours with your plans as soon as they become more concrete. If the neighbours know what's going on at the time they are contacted by the authorities, they will react more confident and supportive. But even if you will not need a Planning Permission, it is a good practice to have your neighbour informed quite early in the process. So you are thinking about building a garden office and you are exploring your options. Don't hesitate to research our portfolio of garden offices, and contact us for any questions or call Oliver at 020 3807 0369! Why not check out this Homestores business in Exeter. 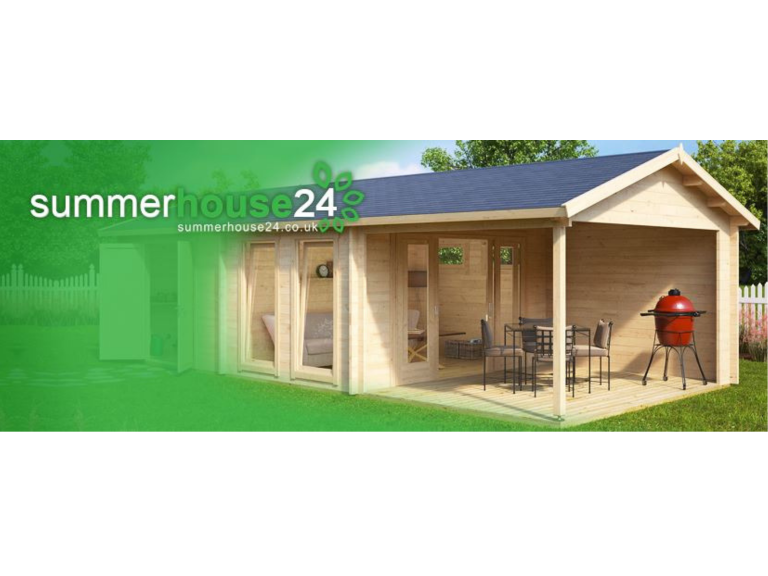 BigFire - Summerhouse24 is a 'thebestof' business member.